Start by imagining a marley-covered rehearsal hall, one of the biggest my LaDuca-clad feet had ever entered, at Alvin Ailey American Dance Theater in New York City. Fill the space with eighty women decked out in French twists and a rainbow of leotards. Add a side of musicians who could probably play the day’s soundtrack in their sleep. 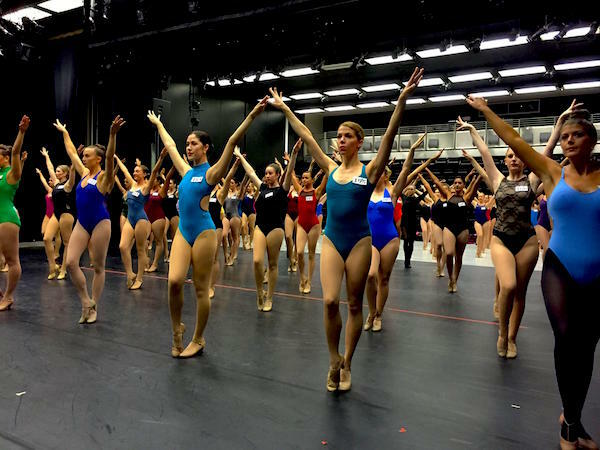 Top it off with a small table of casting directors who decide your dream’s fate in the matter of a 20-second combination, and you have the recipe for Radio City Rockette Auditions 2015. To say it was nerve-wracking is an understatement. Anyone who has had a life-long dream, as I and many dancers do, knows the strength of desire that comes with it. It’s a whole other thing to actually pursue that dream. “They’re probably all better than me anyhow.” “What if my doctor messed up while measuring me, and I’m actually too short?” “There are over 500 girls at this audition every year…I’m not going to make it.” All these thoughts crossed my mind more than a few times leading up to that momentous day. But auditions are one of those cases where you have to tell that inner voice to get lost. You lose by default anyway if you don’t turn that dream into a plan. So did I make it? No. Did I learn anything? You bet I did. For all you go-getters, dream-pursuers and Rockette wannabe’s out there, here’s what I wish I’d known leading up to this audition that I know now. Don’t worry about what you can’t control. The Rockettes have very strict height requirements (5’6” – 5’10 ½”) to create that illusion of uniform height. I’m 5’6”. I was terrified of flying all the way to New York and being turned away at the door because someone accidentally measured me too short. Spoiler alert: it didn’t happen. All that happened were several needlessly sleepless nights. You can’t control what people are thinking about you, how quickly the audition combo is taught, if you’re having a good hair day when trying to create the perfect French twist or how someone measures you – so don’t bother using up your valuable energy worrying about it. What you can control is yourself: how you prepare for the audition, how you present yourself, how you treat those around you (be polite to everyone; you never know who has influence at an audition). Focus on what you’re there for – to dance – and roll with what is out of your control. Work on learning choreography quickly. And I mean quickly. The Rockettes are not called a precision dance troupe for nothing. Of course, after a lifetime of obsessing over them, I knew this – but it’s difficult to comprehend just how precise they are until you’re actually in that audition. The director/choreographer said right away that they were looking for who could execute all the details right then and there. Everything from the angle of your wrist to the placement of your tendu is being scrutinized, and there is no time for rehearsal. I’m not saying this to make anyone nervous, but to advise you to prepare for this – no matter which company’s audition you’re attending. Many people won’t truly “get” what a big deal it is to go to these auditions. And that’s okay. People have literally laughed in my face when I’ve told them I want to be a Rockette. Let these people go. Honestly, very few people will fully comprehend the serious amount of blood, sweat and tears, in addition to time, stress, money and desire, that quite literally go into aspiring to this goal. It bothered me when people didn’t understand why I was doing this, made me feel like I wasn’t good enough or didn’t really think the audition was that big of a deal – but they weren’t the ones who would have to live with the regret if I decided not to try. You are awesome for auditioning, no matter the results. Seriously. So many people have dreams they never even attempt to pursue. This happens for various reasons, but it is often because they simply think their dreams are too far-fetched and unrealistic. It takes some serious guts to go after big goals in a world that preaches cynical practicality, especially when you risk those dreams not turning out the way you hoped. So if you don’t get the big break you were hoping for? Applaud yourself for being one of the small percentage that was brave enough to go for it in the first place. And try again. What have you learned from past auditions? Share with us in the comments! Elizabeth is a dance minor and journalism major at Southern Illinois University – Edwardsville. A dance student since the age of six, she has danced in the studio and on dance team, as well as at Radio City Music Hall as part of the Rockette Summer Intensive. She currently teaches at a studio in her college town. That year, I made it. Bless you Grandma Rose! ???????????? What a wonderful article! Seriously. It not only gives future rockettes hope and encouragement, but everyone following a dream. So thank you for sharing your story. What a great article. Aspiring to be a Rockette is a great dream and anyone young dancer should aspire to do so if they meet the height requirements. 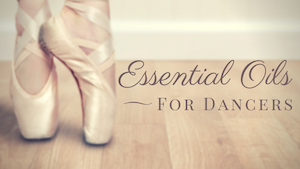 Taking dance classes religiously in ballet, tap and jazz will help to get your technique on point. Success is preparation meeting opportunity. The Rockettes summer intensive is awesome, had a student attend and it was life changing for her.